Strange how memory works. You can hear something for the first time and you could swear you’ve heard it before. You check your collection, maybe the Last.fm plays history for a clue or just google a few lyrics, waiting for a result that might confirm your suspicions. And no results come near. It turns out you had a made up memory. Just like when people said First Blood was gory and violent, but when you watched it, it was pretty tame in comparison to, let’s say, Commando. It isn’t until John Rambo comes around that the the made up memory and reality (well, film) match up. 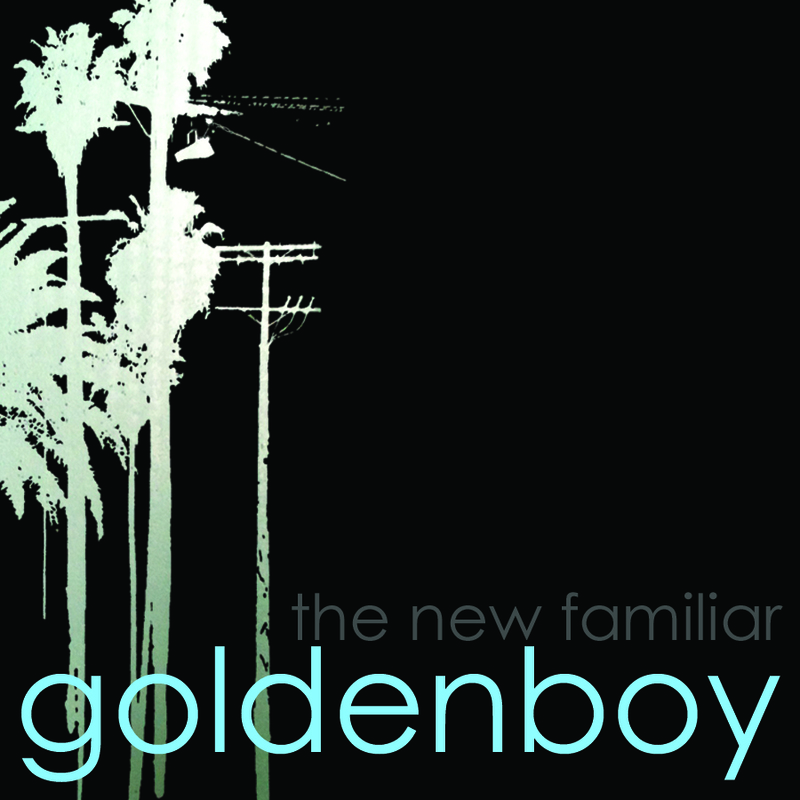 This tangential rant is leading towards what Goldenboy‘s The New Familiar sounds like. From the moment the album starts with the vertiginous ‘The Walking Song’ ’til the classy slice of Chamber Pop ‘Just say I love you’ closes it, you have this sensation that you’ve heard it somewhere, but no, it does not exist and no, you haven’t heard it before. Not like this. It’s like finding a brand new song that describes how you felt in a family reunion as a kid or your first day at school in a new town. I dunno if this was the intention of the band, but it sure feels like the emotion it is creating in me. Not unlike to the emotions created by the music of American Analog Set and Headlights. The New Familiar opens with ‘The Walking Song’, which feels folky but then goes into uncharted territory, adding a trusty organ drone and a sweet solo that even goes into those sweet 70s sounds (think prog solo – only less technical). ‘Today is the day’ is Goldenboy happily embracing Dream Pop, with that female & male mix of vocals that works so well for the genre. ‘Steal your face’ may forgo the female vocals approach, but it still is Dreamland. Somewhere in the late 90s, Slocore and Dream Pop bumped into each other in the school hallway. Trapper Keepers fell, notes were mixed up and tempers flared. Still, they parted company amicably. For that brief moment of time, instead of a “SMACK!” sound, you could hear how both genres met at the ledge in ‘The Right Chemistry’. ‘Soho’s empty’ and ‘One of my moods’ are a bit yin yang. The songs complement each other, even if they really don’t have that much in common (besides being created by the same band). ‘Soho’s empty’ feels quite expansive, using several cities as the stops for a search that doesn’t seem to have ended by the song’s conclusion. ‘One of my moods’ has that female/male vocal style and it’s as warm as an embrace. It also has an amazing bassline during the instrumental conclusion. Crank it up in this bit. Have I mentioned the charm of ‘Just Say I love you’? Mixing a little (synth) orchestral arrangement with the Dream Pop laid before, it’s the fitting conclusion to the journey of The New Familiar. The ending just fades away and you open your eyes in bed, 7 am, with the golden hues of the sun creeping through the window. A lovely dream; one for the dream diary. Goldenboy Website. Facebook. Twitter. Myspace. Posted in 70's, Chamber Pop, Dreamy, reviewsTagged Dream pop, Goldenboy, retro, The New FamiliarBookmark the permalink.